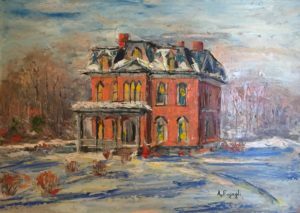 The Historical Society has over 60 paintings by Alfonso Fugagli in our collection, and now you can view 12 of these in your office, kitchen, or anywhere else with our 2019 Alfonso Fugagli Calendar. 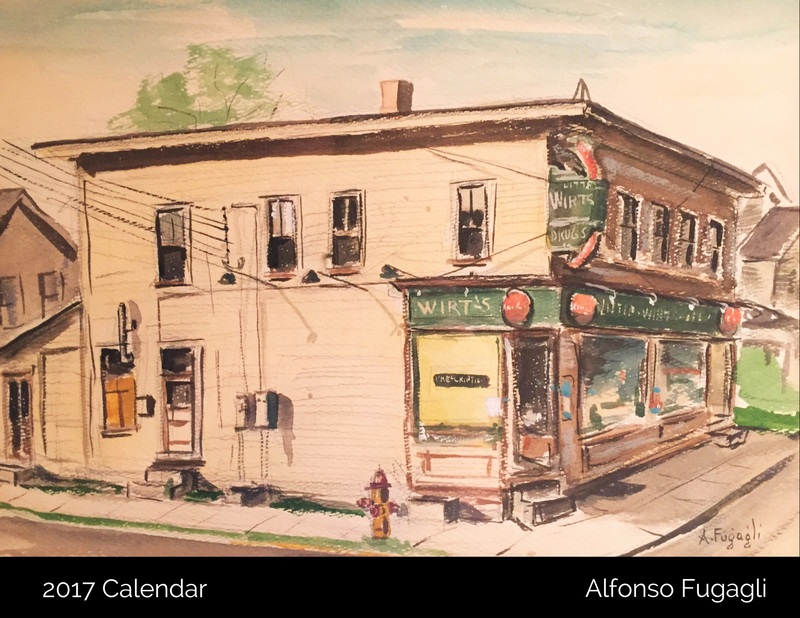 These full-color calendars are printed on premium gloss, stock paper that allows the vibrant colors of Fugagli’s work “pop” on each 11 x 8.5 page. 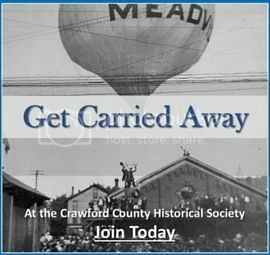 Every month has a corresponding Fugagli work depicting beautiful landscapes and various sites from around Crawford County. The calendar binding uses a saddleback stitching and measures a full 22 x 17 inches when displayed using the pre-punched, hanging hole. The 80# paper weight for the cover and 100# page weight on the interior pages give this calendar a sturdy feel, allowing Fugagli fans the ability to save the calendar as a collectible or re-use the images for framing. Get your own 2019 Fugagli Calendar now while still in stock! They also make for the perfect gift for family and friends.